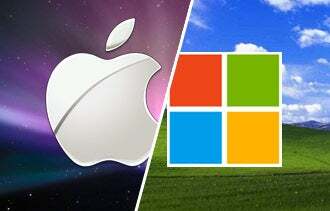 Apple or Windows? Not long ago, a startup's answer to this question would have locked it into a relatively closed ecosystem of computers, smartphones and software that didn't always play nicely with others. Today that decision is less of an issue, thanks to programming that enables technology--including tablets and the latest smartphones--to work across a variety of platforms. For an expert's take on the new Apple vs. PC paradigm, we sat down with Campbell Hyers, co-founder and CEO of New York-based Control Group. Hyers' company specializes in creating technology work flows for business environments, including digital content creation tools for clients like The Daily Show with Jon Stewart. "I do not see much of a Mac vs. PC battle these days," Hyers says. "It's a much more subtle interplay of getting the right tool for the job." Hyers expands on his advice with his tips below. Do what needs to be done first. Focus on hardware second. We spend a lot of time trying to convince people not to take on too much technology. Too much too early is akin to death by a thousand cuts. It's way too easy to get the cool CRM software, do a slick integration with Google Apps and also install a powerful e-mail tool. But they don't actually help you when you're starting from scratch. Dealing with all this stuff slows you down, and it can cost a lot of money. Stick to the absolute minimum you need to get the job done. Go ahead, mix Macs and PCs. The desire is to have every machine work seamlessly together, but really, it's not necessary. Companies will waste a lot of time trying to engineer a perfect way to make a marketing tool like MailChimp talk to a layout tool like InDesign. That's not a productive use of time. What works is what we call "swivel chair work flow." Literally, it's two machines on a desk: the PC for the power spreadsheet work, the Mac for InDesign. Then your people swivel their chair between the two. It may seem archaic, but it's simple and fast to set up. Get everyone working with the right office software. Google Apps is emerging as a great tool for small businesses that can make do with relatively simple documents, presentations and spreadsheets. But it doesn't work for more complex publishing or sophisticated presentations like Windows-based software can. Therefore, figuring out who gets what app boils down to what specific employees need to do their specific tasks. The key is not to overdo it. Don't waste money on software purchases for people who think they may need a program, but will never use it.